Roger Maliphant is a golf industry professional with experience of Golf Club Management, Golf Break organisation, Event Management and Golf Scoping Study reports. Substantial experience on the playing side of the game including club and county captaincy along with committee experience from the same period. Keen golf historian but currently more interested in re-generating the interest in the game via modern methods and incentives from renewable energy to speed of play issues. Most recently, Roger was the Interim Manager of Glynhir Golf Club, Ammanford (2015), where he completed a 4 month consultation period overseeing the installation of the BRS tee booking system, membership renewal period, website creation and establishment of Health and Safety and CASC compliance. In 2012, Roger was appointed via the Welsh Assembly Government, through a tender from Merthyr Tydfil County Borough Council Heritage Department, to manage the redevelopment of an historic 9 hole course in the centre of Cyfarthfa Park, in Merthyr Tydfil, home of the Crawshay family - The Short Course project. The brief was to re-establish the golf course as a community facility creating a safe and interesting layout. The project was completed in late 2012 and the course opened in April 2013. Rhydian Thomas has been working in the sports industry for 15 years and is Managing Director of Global Sports Futures Ltd, a sports management company. He has represented players primarily in the field of rugby union, as well as footballers. In his career, he has represented 8 international rugby players, negotiating all their club contracts and transfers. He currently also represents 8 academy footballers from Wales and the West of England. He obtained RFU registered agent status in 2009, although he has been representing rugby players since 2002, and obtained his FA agent license in March 2004. Since the deregulation of licensed football agents by FIFA on 1st April 2015, he has become an FA Intermediary. He is also a Licensed rugby league, cricket and darts agent. He has full professional indemnity insurance and clean DBS reports, which enable him to deal with young players in rugby union, rugby league and football. He is a qualified UK Anti Doping Adviser and has a Degree (2:1), Masters in Tourism and a Post Graduate Diploma in International Sports Law. Rhydian is also a fluent Spanish speaker. Rhydian is also a Director of Future Sports Gear Ltd, a team-wear brand supplying sports clubs and Rugby Scholarships USA Ltd.
From 2006 to 2010, Rhydian and Roger ran the first ever professional golf tour in Wales, The Celtic Pro Tour, which staged over 30 events across Wales, Scotland and Ireland, gaining TV exposure on BBC Wales, BBC 2 Wales, S4C, Setanta Sports and Sky Sports. 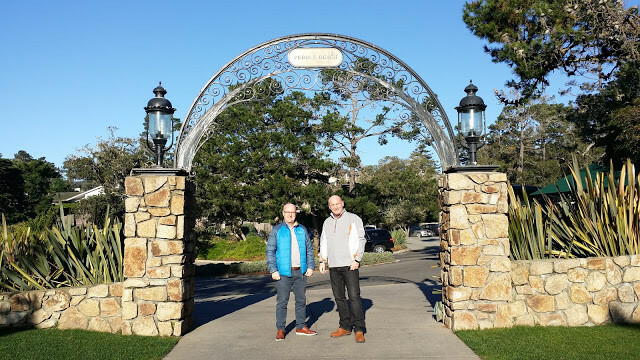 Rhydian and Roger are the directors of Future Golf Ventures Ltd and tendered to change the original pitch and putt course, at Ashleigh Road, into a FootGolf course in Spring 2016. 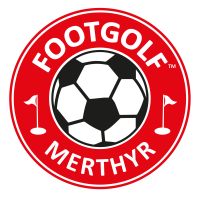 Swansea FootGolf, the first Links FootGolf course in Wales, based on the Mumbles Road in Swansea, opened in May 2016.